The Bargain Boots Skincare Buy That Allsun Says We Have To Try! As I was doing my monthly haul in Boots, I spotted this unassuming little tube on special offer. At the bargain price of €4.14, it was quickly thrown into my basket. Months of relying on micellar water had left my skin feeling dry and I wanted something more hydrating – especially in the colder weather. But I really wasn’t expecting to stumble across a gem like this. I added the Botanics Hydration Burst Dual Action Cleanser to my skincare routine that very night. It’s a balm-like cleanser that has quite a thick consistency when you first apply it to the face. Buff it in with your finger tips, and it transforms into a lovely oil - perfect for a bit of facial massage (here's how). Once that's done, I use a large cotton pad and hot water to remove it (you could also use a face-cloth), and off comes my SPF 50, high coverage foundation, makeup and all the usual grime accumulated in the course of a day. It all rinses away easily and my skin is left soft, clean and without that dry, stripped feeling I’d been having. Key ingredients include clary sage, which has loads of beauty benefits, like regulating the skin’s natural oil production and fighting bacteria. I also noticed that there’s no mineral oil on the ingredients list; olive fruit and jojoba oils are there instead. You can purchase it in any Boots, priced at €8.29 for 125 ml, and often on offer for less. Woohoo! 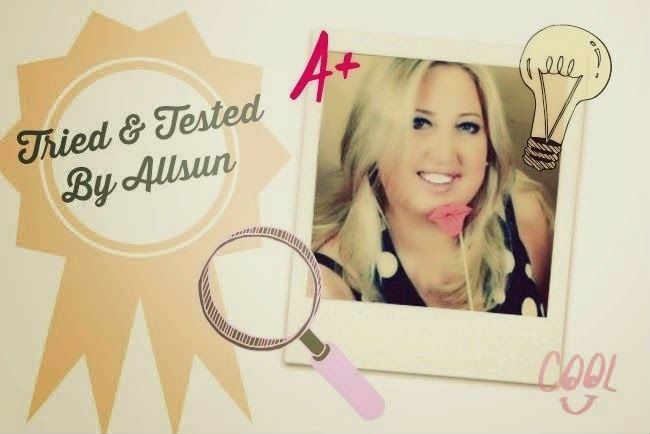 See what else Allsun’s been rating.